Move over Kool-Aid! Now there’s something FUNNER! 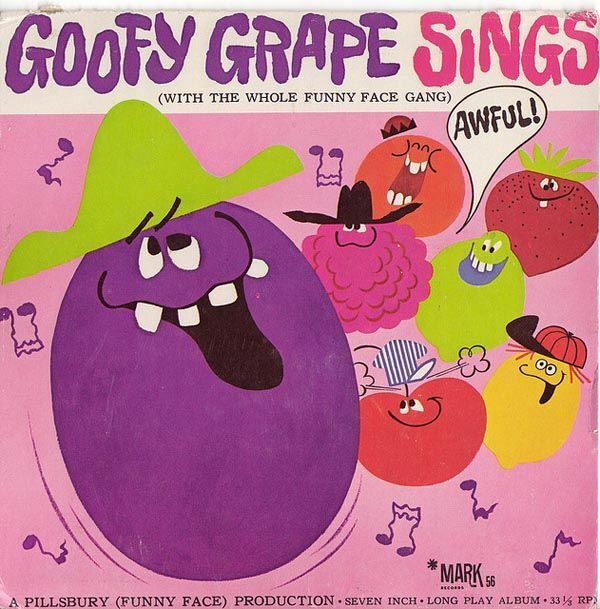 OK, that’s not a word, but if you just take a gander at Goofy Grape, Choo Choo Cherry, Freckleface Strawberry, Jolly Olly Orange, Lefty Lemon, Rootin’ Tootin Raspberry, and Loud Mouth Lime I think you’ll agree. 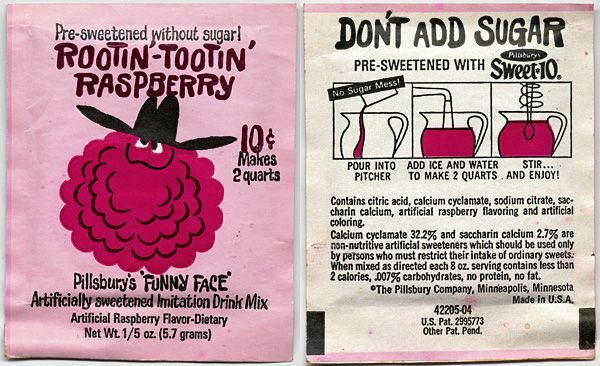 Back in 1964, Pillsbury released FUNNY FACE drink mixes. They were meant to be a delicious rival to the popular Kool Aid. Mom’s loved it because it was a “great alternative to soda and fruit juices” (hah!). 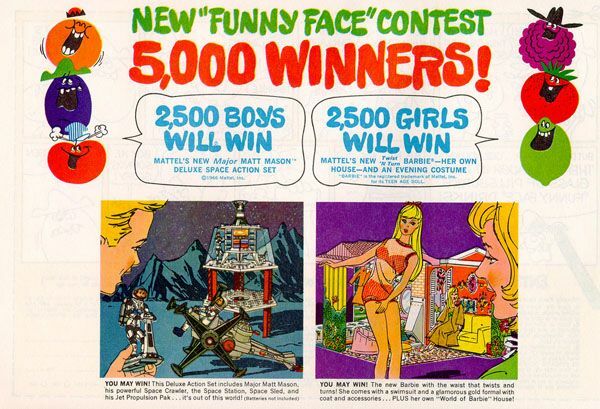 What made Funny Face so different from Kool Aid was that it was a “sugar free drink” and each flavor had a unique character. This made it totally ideal for advertising and excellent promotions. They even released a record album! Way Out Watermelon was a later addition to the gang. His Elvis side burns crack me up! 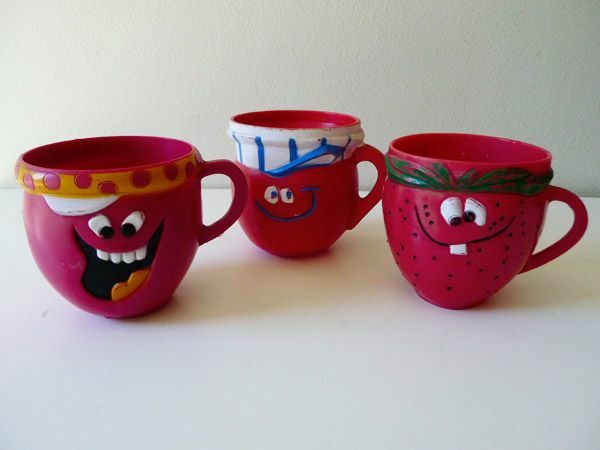 Do you remember these?? I think they sold them well into the 70s. 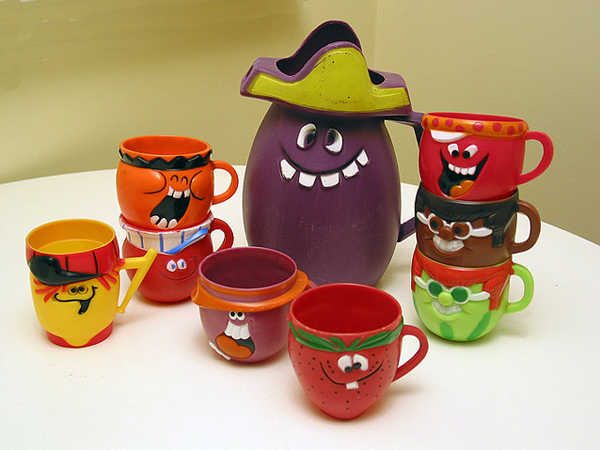 I don’t think I ever tried them, but I remember friends having the cups! i feel like i totally know these so i must have them registered in the crazy vault that is my mind. i remember the kool aid man more clearly because he busted through walls. ZOMG! 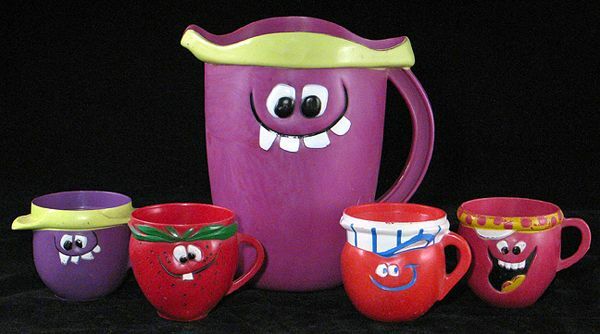 My brothers and I gulped down an appalling amount of that stuff just to get those blasted cups! We still have three in my parents house and my brothers used to get into fights to see who would own one of them. Later, when I was interviewing at Leo Burnett, I was walking down a hall and saw those cups behind glass–one of the agency’s best work. LOVE! My mom bought Funny Face exclusively. She called it ‘bug juice’ and filled our Coleman cooler with it. 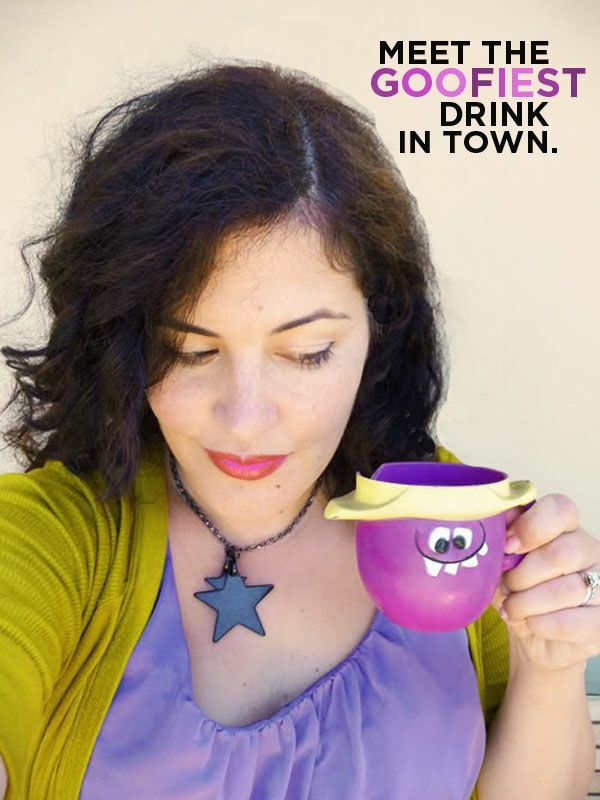 You got those cups free with purchase. I felt a connection to freckle face strawberry. It was also delicious. Kool-Aid? What the eff is that? Hmm… question–what is the brown one called? You see him in one of the pictures. Was there a root beer flavored one? And I see a picture of a banana. Was there ever a banana one? Crazy! @ Dottie: The brown one is Chug-A-Lug Chocolate. 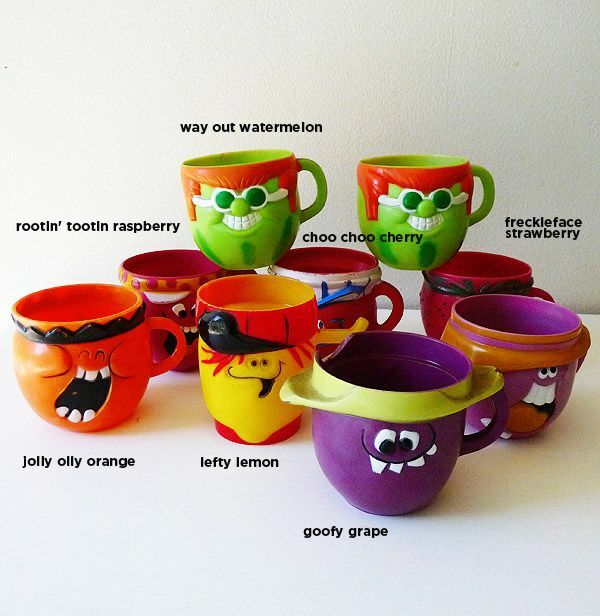 The With It Watermelon and Chug-A-Lug Chocolate cups are the same cup mold, just different colors/flavors. The root beer one is Rah! Rah! Root Beer. No banana one to my knowledge. In the above pic, the banana one is the only one that is not smiling, he has a sad face. A couple of clarifications in Alix’s “my lil collection” picture: Way Out Watermelon is actually With It Watermelon. Rootin’-Tootin’ Raspbery is actually Loud-Mouth Punch. 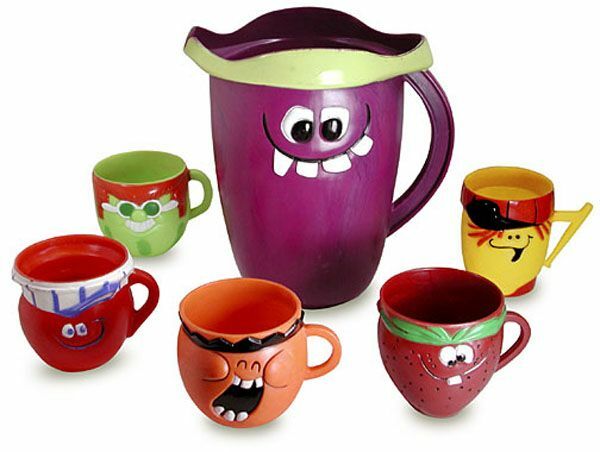 The unnamed cup that is behind and to the right of Goofy Grape is Rudy Tutti-Frutti. 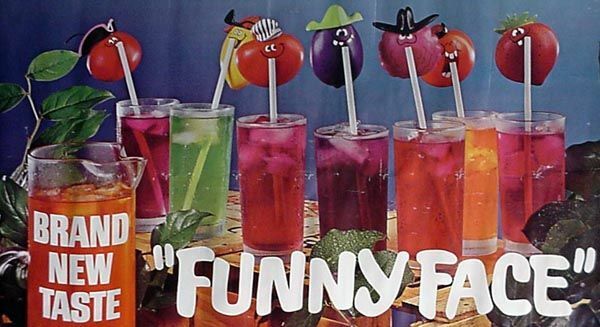 These 8 flavors below are some other Funny Face Drink flavors that did not ever have cups made for them. I have pictures of all of the above Funny Face Drink flavors that I wrote about. If you would like to see them, just e-mail me. i don’t remember these!! love them. Can we order the glasses and pitcher?